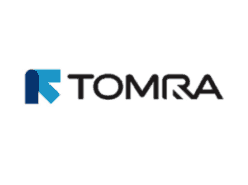 TOMRA creates sensor-based solutions for optimal resource productivity. Leading the resource revolution. TOMRA Sorting Solutions provides sensor-based technologies for sorting recyclable materials from municipal waste. We sort plastics, metals and paper, plus packaging, electronic and industrial waste from mixed waste streams – bringing maximum yield and recovery rates. Almost 5000 systems are installed in 50 countries, with a 60% market share. Our metal recycling solutions recover 715,000 tons of metal every year, and TOMRA Sorting Recycling last year avoided more than 23 million tons in CO2 emissions. TOMRA Collection Solutions provides reverse vending systems for the reuse and recycling of used beverage containers, such as bottles and cans. Established in 1972, today our more than 75,000 reverse vending machines in 40+ countries receive over 35 billion empty drinking containers every year, out of the 50 billion containers collected in total across the globe. Together, these two TOMRA divisions provide a one-stop-shop for collecting and sorting for the global waste management industry. TOMRA transforms that waste into a new resource and opportunity.